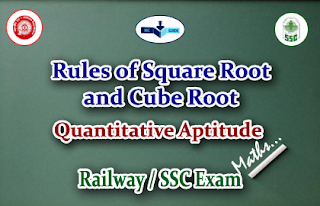 Dear Readers, here we have given rules and methods of Square root and cube root for the upcoming SSC CGL and Railway Exams. Candidates those who are preparing for the examinations can use this material. 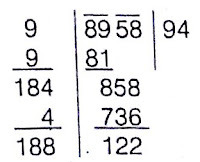 When a number is multiplied by itself, the product is called the square of the number. (i.e.,) 2 × 2, we get 4, we say that 4 is the square of 2. The square root of a given number is that number which when multiplied by itself is equal to the given number. When a number is multiplied by itself thrice, the product is called the cube of the number. (i.e.,) 3 × 3 × 3, we get 27, so we can say that 27 is the cube of 3. 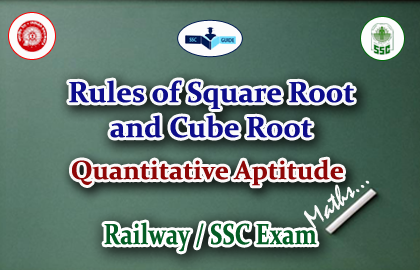 Cube Root of a given number is the number which when raised to the third power will produce the given number. 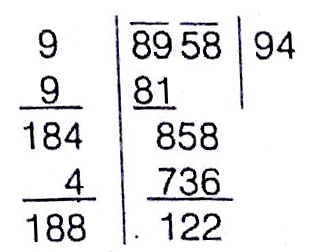 Thus, 43 = 64, hence 64 has a cube root of 4. The symbol 3√ is used to denote the cube root. We have find the cube root by factorization method For find the cube root, make groups of three and take one out of every group. Suppose ‘a’ and ‘b’ are consecutive factors of x where b > a. If there sign is (+) in the expression, the answer is b (i.e) bigger factor and if there sign is (-), the answer is a i.e., the smaller factor. 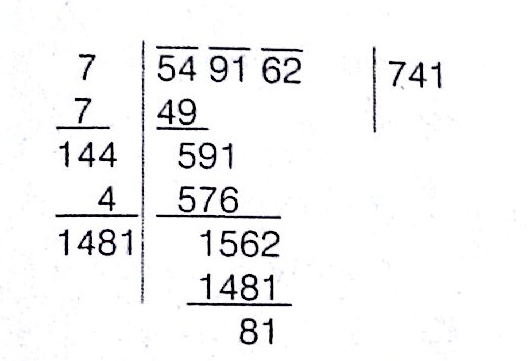 3).What is the smallest number to be subtracted from 549162 in order to make it a perfect square?